Tarawera! The training was done and the time had come. The idea of finally being on the startline was tantalisingly close, but my almost-not-quite-maybe cooperating body kept me guessing until the last minute. 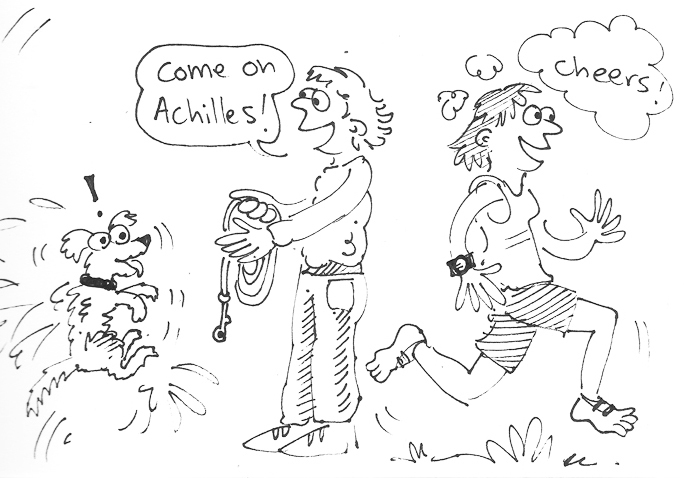 I was hanging out for a reassuring pain-free jog in the final 10 days, but the achilles was being stubborn. By Tuesday I gave up trying and just decided not to run anymore before the race – if it felt like coming right on the day, so be it. Bring on some carb loading. I like carb loading. On Thursday I went for a final loosen-up massage with Dale McClunie. Alba and I threw many random things in the car and drove over to Vegas. The no-running plan meant I missed out on the fun run, but still enjoyed watching everybody. 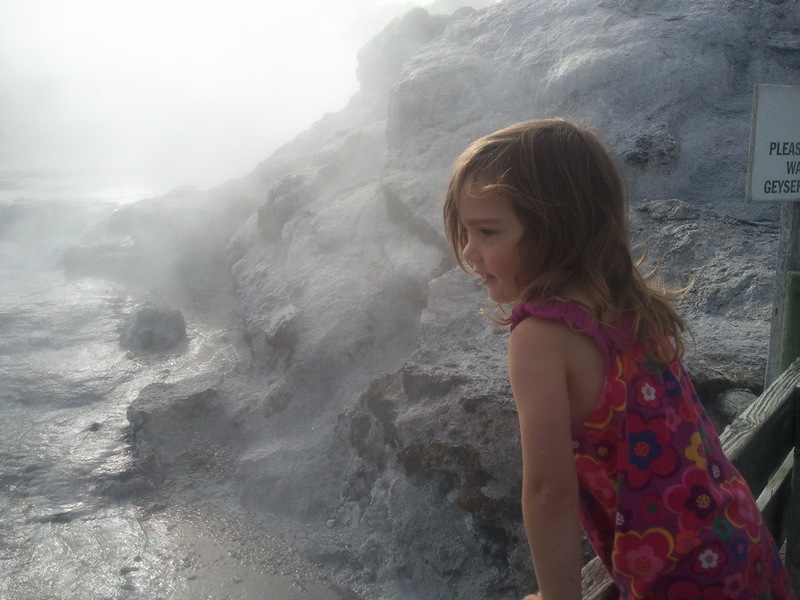 The opportunity to explore Te Puia for free was a great bonus from an Alba perspective. We spent a lot of time there over the evening and following morning. I did look wistfully at the elite photo shoot as they skipped gazelle-like across the volcanic landscape – it looked pretty fun. However, some elite three-year-old-chasing was the priority for the day. Friday morning we were back in Te Puia for the official welcome, which I thought was great. 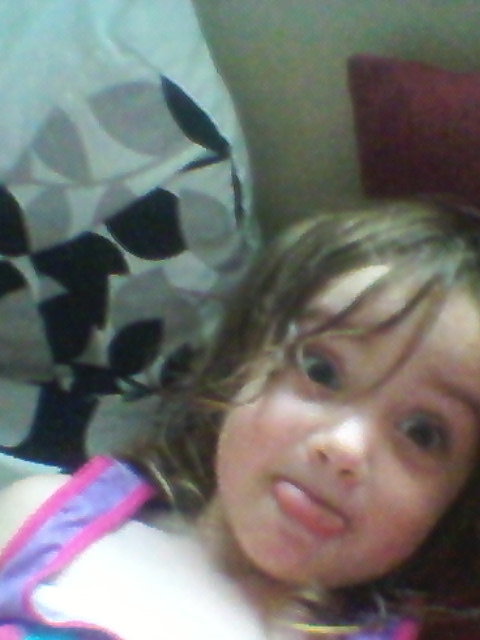 Alba was a bit unnerved, but got inspired to practice her pukana face. We spent most of the morning wandering around enjoying geysers and kiwis – and getting photos with multiple Ruby Muir fans who thought I was she, despite assurances to the contrary. I’d like to think this complimentary confusion was because of our matching athletic physiques and inner cool, but was more likely down to wearing FiveFingers and being female. “I reckon it’s the rough-and-ready hairstyles,’ offered Kristian. The buzz was on when we got to the Holiday Inn for rego and weighing and seminars. Carl turned up after that and took over-it Alba for a sleep so I could watch the elite Q+A. Part of keeping myself amused during aquajogging sessions is to listen to podcasts – Talk Ultra, irunfar, UltraRunnerPodcast – so the opportunity to hear from some of the key players outside of the dive pool and tomorrow run with them on real dirt was something I was looking forward to. Have to admit, when reading a few weeks back that the chance of the fire course was less than 5% I thought immediately of this. Mid-afternoon there was rumblings about changes afoot due to Cyclone Lusi, and after a nervous wait (please don’t cancel it), we found out the course was shortened to 70k. On a personal level I was pragmatic about this, assuming safety was paramount and everything would have been weighed up carefully. I felt for Paul though, and all the runners who were set on completing the full course after missing out last year. Friday night was sleepless, but that’s normal. Lying awake at 3am, I decided to have an early breakfast, because I remembered some of the elites do that. 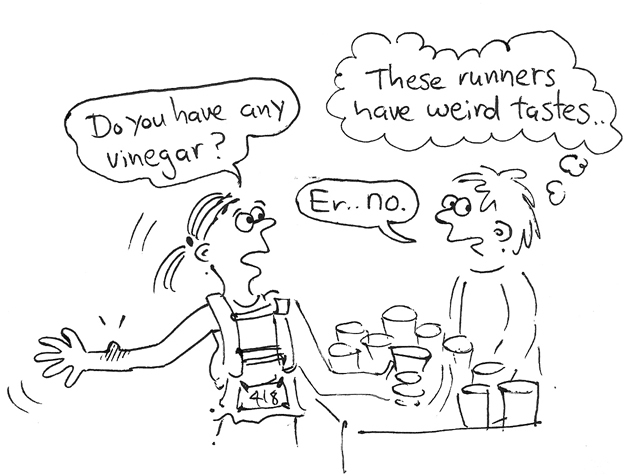 They also said (about 10 times) ‘don’t try new things on race day’, but who can remember every detail? Anyway, breakfast was probably a bad call as it sat heavily in my stomach until an unscheduled stop about seven hours later. Good to know. Leonard Cohen’s ‘Anthem’ came on the ipod and got me in the perfect mood. By which I’m pretty sure Lenny meant ‘quit angsting over injuries, course changes or weather, and go have fun on the trails.’ Attempts to get ready without waking the family were a complete failure, so I quickly exited and caught a ride to the start thanks to Vibram’s star-studded relay team. It was fantastic to be lining up at the start rather than watching. I’d hoped to see training buddies Oscar and Dan and Ceana somewhere in the mix, but there were a lot of people around. I chatted with LTH and met Sadie Cranston. Last year I was excited for everyone at the start, but couldn’t help some tears in the dark as they ran past. This year I was elated to be there running, and yet there were still tears – there’s something powerful about start and finish lines. The tears abated, but the joy remained, even with a solid bit of hill to kick off. Going up the hill I saw Shannon-Leigh Litt having a frustrating time with cramping. I was disappointed on her behalf as her preparation seemed exemplary and she could have been on the podium if things had aligned on the day. Here’s to an awesome Northburn and Hillary for her. The first 12k was a chance to test the legs and relax into running. Extra time in the redwoods was no hardship. Coming through the start again added some energy, as it was packed with people screaming. Brendan Keenan and I nearly got taken out by a moving aid table, comic film styles. Going up again I saw some Hawks friends from the relay which was fun. I always like the blue lake track, especially the bush parts and beautiful views. Somewhere around here I saw Lucy Bartholomew, who was very friendly and encouraging as I passed despite not feeling the best. More cheering awaited us at the aid station. 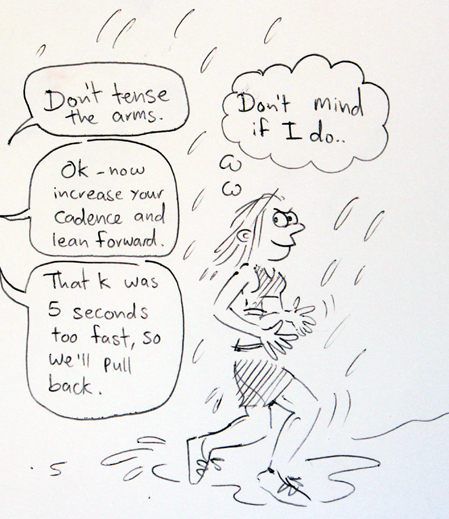 I love aid station energy, but get too revved up to make the most of them, and never once got round to eating. Bit of a waste really. ‘Are you feeling good?’ asked a pajama-d Kim Allan. ‘Yes,’ I said, slowly, and took off. With legs behaving and a playground-trail to run on, I was having a pretty good time. I’m here! I’m running! ‘I could see your smile from the other side of the lake,’ observed Scary Dr Glenn Larsen as I headed into Tennent’s Track. 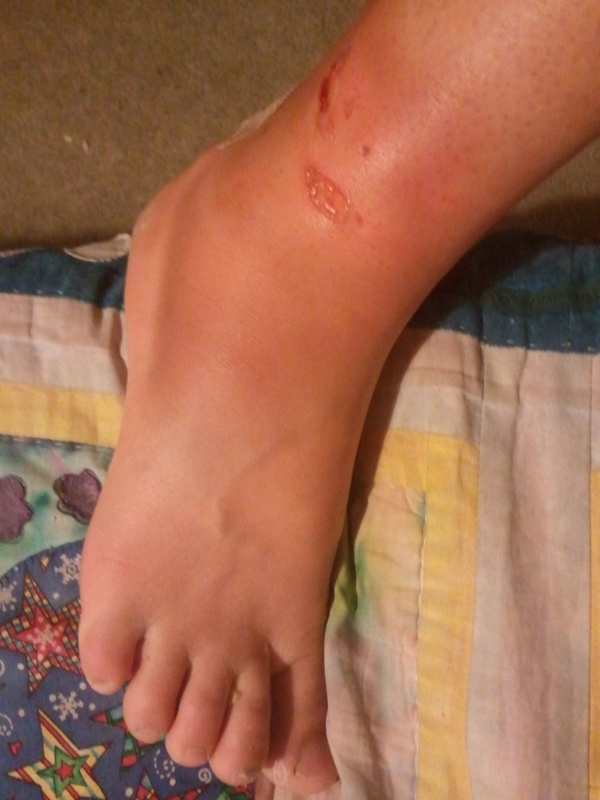 Then I got stung by a wasp – how dare it interrupt the glee? It felt a bit painful through to Okareka but I couldn’t do much and it wasn’t going to be fatal. It sounds a bit blasphemous, but the weather was perfect for running, cool and pleasant, and I like rain. Nutrition seemed to be going fine. I was knocking back gels as the time rolled around. Trotting up the hill we started to see some of the 55k runners. I still had no idea where I was sitting in the women’s race but wasn’t thinking about it too much. Along the mid-hill plateau and upwards I ran with a guy in a blue shirt for a long time who helped keep a good consistent pace but never got round to asking a name. (Belated cheers!) I do know he hadn’t run further than a marathon before, so hope everything panned out ok. I wanted to hit the top of the hill before the first long course guys appeared, and we did. Then it was all downhill and wheeeee, flying! As I caught up to Shona, relaying Ruby caught both of us, so there were quick greetings and well wishes all round. I exchanged a high five with Kerry as he cleared the way for Sage, and he said ‘Meghan (Arbogast) is just back there.’ For some reason I thought he meant she was coming up the hill behind them, so when I did pass Meghan I didn’t really register, and thought maybe she was a relay runner. The trail down to Okareka was a blast – possibly my high point of the day. The closer I got to Okataina turnaround without seeing a female runner coming back, the closer I was to the top ten, so when I arrived at the aid station having still not seen anyone it was getting pretty exciting. Ironically, the splendid Western Okataina walkway was the one part of the course I’d trained on, so it was good to run at least a tiny bit of it. I think it was my fastest pace for the whole race, although it was a bit congested. After a bit I saw Jo leading and was intrigued, not knowing who she was. A little later I saw Claire and Beth, and Meghan and Shona, and a bunch of relay runners in between. So I didn’t know my placing for sure (counting is tricky after a few k) but was buoyed to know I was in the mix, and definitely top ten. The awesome Gayle and Anna had filled a bottle of Perpetuem for me here, and said Beth was 3 minutes ahead. I should have also refilled on water, but was a bit too amped to think straight. Yep, it’s me running…again. Photos4Sale. I’d been looking forward to having my friend Ange as a pacer, but assumed with the course change it wouldn’t be necessary. I still could have, in retrospect, but we weren’t sure how bad the weather would get for travelling so called it off. Going back up the hill wasn’t too bad anyway, and certainly social. I ran where I could, and just walked hard a lot. I loved being able to say hi all the other runners, and can see how an out-and-back style course has its benefits. Over the top I was starting to get thirsty but needed sugar too. Note: gumming through a packet of Clif bloks without water isn’t the best idea. Coming down to the plateau, I suddenly glimpsed Beth just ahead. She said ‘Awesome, well done,’ and waved me past – at which exact point my quads said ‘WHY YOU RUN STUPID LONG WAY?’ and cramped. ‘I don’t think I can!’ was my slightly desperate response (to Beth, not the quads), but things came right, sort of. The next patch was probably the trickiest as I jog-walked the moderate uphill stretch, which seemed to have got longer in the last couple of hours. There are even some photos of me not smiling. 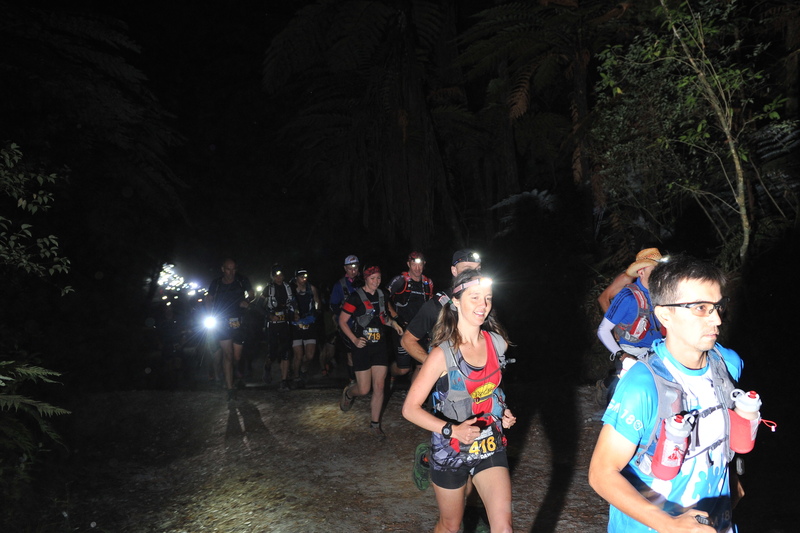 Seeing runners still heading out towards Okataina – knowing they had 4, 5, 6 hours left in the rain, and often still smiling – was good for perspective though.That’s gutsy, right there. Coming down to Millar Rd I found a bit more impetus. Finally, I got to the aid station and sculled some water. Seeing Kim again was a nice bonus. 3k to go? Let’s get this thing done. Coming down the road was my first experience of being filmed running for an extended time – novel but slightly awkward. Over the last kilometre I took the time to appreciate all the preparation for the race, waking up in the dark to run before work, and what a lovely privilege it is to be able to do things like this in a place like this. Then came the finish! I’d never finished a race to a semi-circle of cameras before. Interviews, hugs, dry clothes and a paddle in the lake. All up it was a great day and ahead of my own expectations. According to IRunFar, I’m officially sneaky. 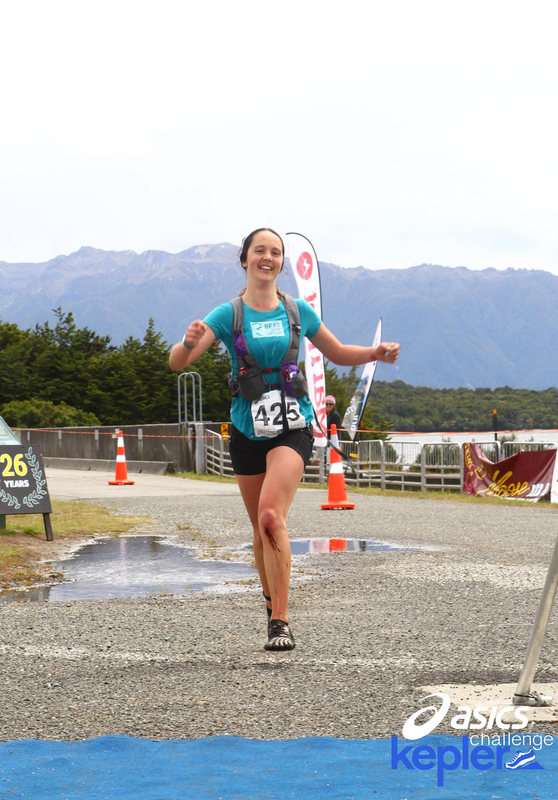 I finished third in 7.16, 5 minutes behind the UK’s Claire Walton and 12 minutes behind Kapiti’s Jo Johansen, who pulled off a gloriously accomplished unexpected win. Lots of people asked afterwards how I would have gone on the full course. It’s hard to say, as I adjusted effort accordingly, but I don’t think much would have changed. Jo had things under control, and a great base, by the sounds of it. Footwise, the pretty blue Spyridon MRs plus injinji socks went like a dream. No blisters, no nothing, and no problems on the wet bits. The timing chip, on the other hand, provided some blood and bruising to make up for the fact that I didn’t even fall over. Those things are lethal. I’ll put the gory shot at the bottom for brave people. Can’t have an Oscars speech without Oscar, who has shared the long runs and driven me many, many cumulative kilometres so we could find hills. 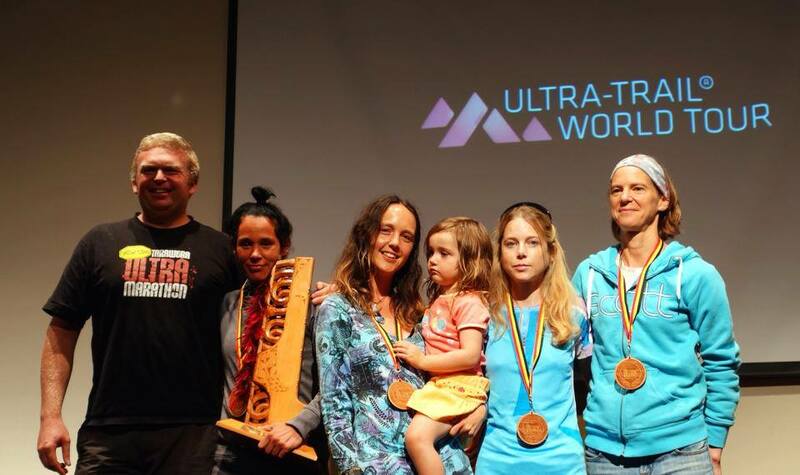 Ceana and Dan are now ULTRARUNNERS, and great training buddies too. Thanks Jenni for the jacket and many many awesomes. Dylan and the Vibram crew are the nicest group of people and I feel lucky to be part of the team. Thanks to Paul for working so hard on this excellent race, and to the runners who make it what it is. I really enjoyed being able to run with such a solid field, and meet lots of new awesome people. (‘I think you have a little running crush on Meghan Arbogast,’ observed Ceana. Hey, who doesn’t?). What’s next? I’m not sure yet. Watch this space, and feel free to offer suggestions. At 2am on Sunday I realised I could have just moved the timing chip to my wrist. This time last year I was inspired by a book on visual journals and started one. It’s possibly the first time in adulthood I’ve kept a regular record for a year. Part of the reason for choosing Waitangi Day 2013 to kick off was that we had a great training run in the morning that deserved remembering – 10 x 6k at Lake Ngaroto with some excellent people. Repeating it for 2014 didn’t quite fit in with our various plans this year, but some key players and I commemorated it with a measly sensible 5 x 6k on principle – thanks guys! With events and training for them, the same things often come around in cycles. 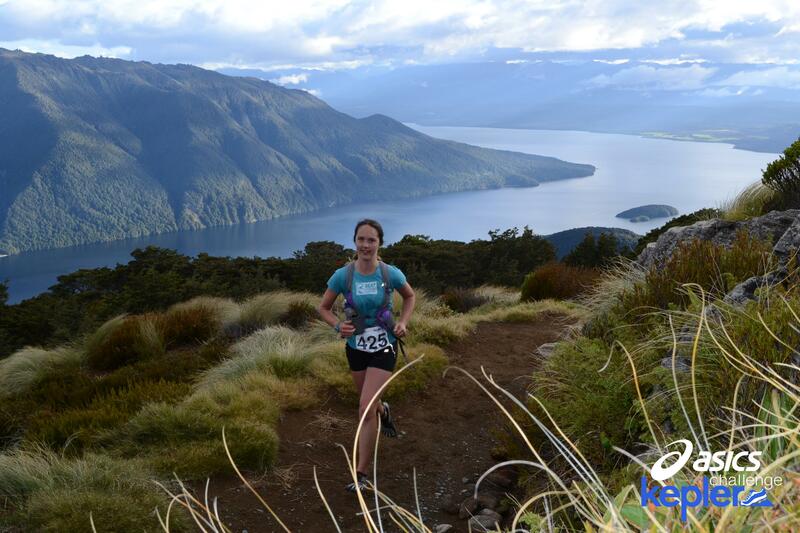 Most are good – fun training runs, again, and the fact that I’m really looking forward to Tarawera, again. It has a ridiculously amazing lineup, again, even more so than last year. 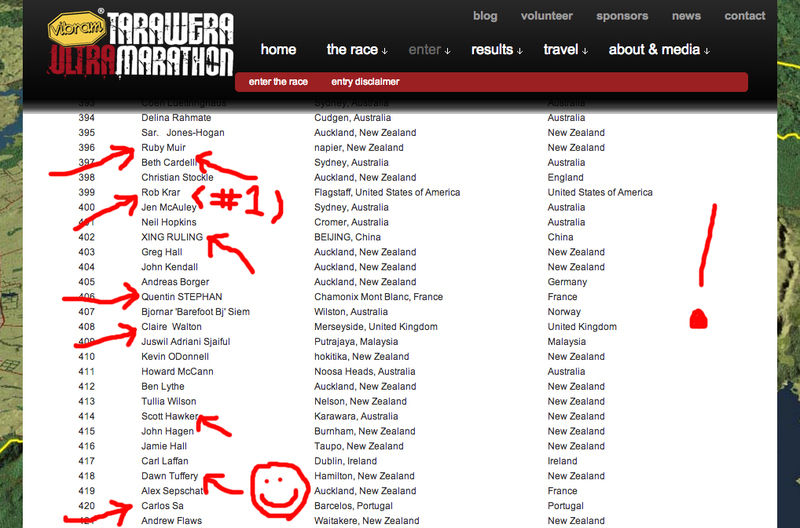 Check out this shot of the entry list around my name alone and a few random examples of the guns I get to run with (MS Paint styles). 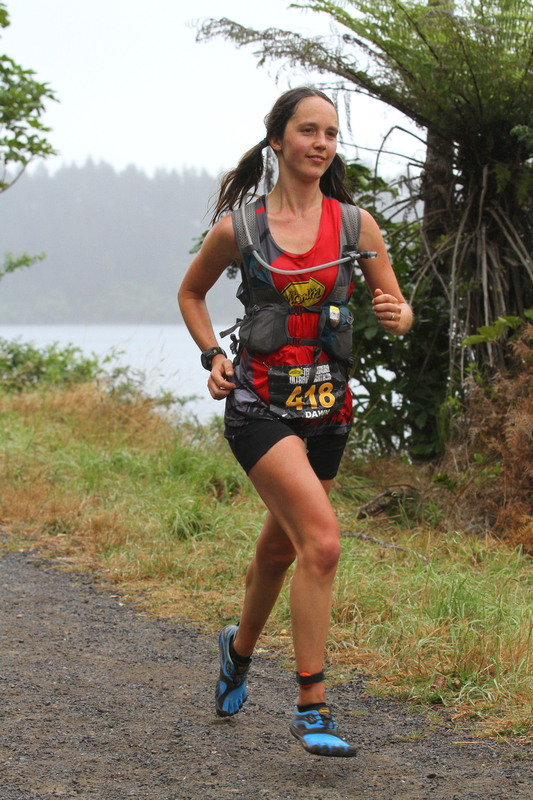 I love how democratic ultrarunning is. It’s all very exciting. On the nervewracking side, I really don’t want to get injured again. I feel slightly superstitious even writing down the ‘i’ word or making a post about it. Or enthusing about the opportunity to be on the startline with all these awesome runners – because I Did That Last Time, and look what happened. But is there anything I can do about it? – Another set of eyes. The mighty Hadley ‘Crater NZ’ Craig is kindly helping me and others to prepare for Tarawera, and thus my schedule now includes such innovations as rest weeks and multiple days off. It’s also great being part of a crew with the same aim, particularly if they rub your calves en route to Raglan (thanks Oscar!). – No buggy runs, Running with the stroller was great and downright necessary in the first year of parenthood. I don’t think it’s great for loading my calves though, so is consequently cut for a few months. Also, I incurred last year’s injury while pushing it. See above re high superstition level. – Rehab activities, so you don’t need them. Prehab! Fairly straightforward: Ice, getting Dale McClunie to massage my calves when I can afford it, and spending quality time with the Waterworld dive pool when I can sneak it in. Sometimes it helps. Sometimes my achilles tendons are still painful and taut enough to play a sad violin accompaniment to the first-world-problem complaining. “I worry about you, Dawn,” intoned Dale seriously last week as he inflicted preventative agony to my lower limbs. I worry about myself. But with Tarawera’s sweet siren song crooning to me across the hills, what else is a girl to do? Merry Kepler and a happy new year. The day preceding the mighty Kepler Challenge started at 4am and felt long – five hours waiting in an airport (Jetstar misplaced a plane and a cabin crew), and then a one-sided splitting headache appeared upon the descent that didn’t go away. By evening I was a sore zombie. And it was raining. Woe is me, etc. The darkest hour is just before the…yeah, yeah. At 4am I woke up and felt suddenly ready. The rain stopped. The lake sparkled, the marshalls had flaming signs, and the excitement was palpable. Kepler time! Coming out of the bushline the views hit with a marvellous jolt. I’d seen photos but it’s bigger and better to be there. It was fun to see Amy cheering. I whizzed through Luxmore aid station, having utilised Matt’s packing tips for the compulsory gear check. Walking up the gravel section afterwards I tripped over, cos I’m good like that. Better pick up the feet more. BAM! Over again (still merely walking), and blood spurting out my knee, wrist and fingers. I was glad I’d packed fabric plasters in the little front pocket of the pack. Across the glorious tops I noticed a pink dot amid the climbers up ahead. A lady perhaps? Admittedly it could have been a sartorially-bold guy, but it wasn’t. I gradually caught up and marvelled at some fabulous calf muscles. These belonged to Kami Semick but I was in happy running dreamworld and didn’t register that. After this came lots of descents and switchbacks – welcome, after all the up. I passed quite a few people and hoped I wasn’t smashing my quads. I bought some Vfuel gels from BCR to try and they were going down pretty well. But whether it was the caffeine or the downhill, I had to divert at Iris Burn. The balloons in the woods here were beautifully whimsical. Coming into the aid station I was caught on camera uttering the philosophical question “Where’s the toilet?” Heading out again a lady mentioned I was in 6th place for the women, which was a surprise. Apparently I was enjoying the view more than this guy. Several of us got a great ‘train’ going at this point, chugging contentedly along at a consistent pace for a good ten kilometres or so. I don’t remember anyone’s names as I’m vague like that, but it was a sociable highlight. Our train ‘engine’ had been training (ha! Get it?) in Zurich due to work, which sounded very nice. We passed Shireen Crumpton going over some rocks and invited her to jump on, but she seemed to be having a tougher time than usual. 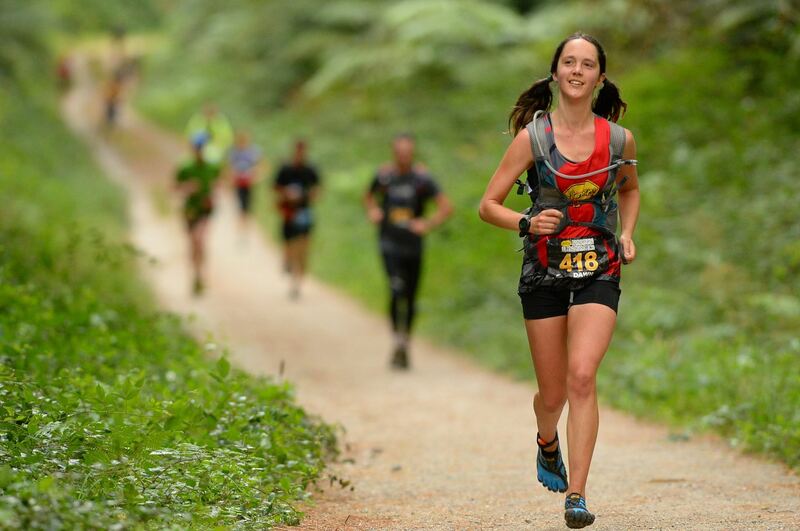 After the 30k mark, I was conscious of feeling pretty fragile and had to pull myself back periodically to regain strength – an ongoing balancing act that was to last the whole way. Our train drifted to pieces after an aid station dressed as a Maori tribe. I proceeded to mosey on, periodically tagging on to fellow monosyllabic sufferers. My one proper long run for Kepler had been 48k, on a flat trail by necessity of injury, three weeks prior. I’d assumed this was pretty inadequate in the elevation sense, but looking back, it was at least useful at prepping my legs to turn over metronome-style for the second half. I saw Matt B at Motorau and said thanks – I’d taken his advice to keep it easy. ‘I haven’t,’ he said wryly. He mentioned that I might see South African runner Landy Greyling ahead who wasn’t having the best day but I didn’t feel in racing mode. SO PRETTY. Up on the tops. With 15k to go, the ‘comfortable and easy’ had gradually given way to ‘stupid challenging and ridiculous quite hard’. ‘The next lady’s only 2.5 minutes ahead – you could catch her,’ said a volunteer at Rainbow Reach. Finishing was the sole focus though, and that was finally coming closer, albeit slowly. Baby hills required more walking. It’s just one relaxed Eastside run, I told myself at the 5k aid station. No problem. It was great to see Chris there cheering, as she waited for Dot. A group of teenage girls applauded enthusiastically too. These fast woman runners make me so proud!, one said to her friend, which I thought was lovely and added a spring to my step. I’m a fast woman runner! Woah, feeling a bit woozy. Baby steps, just keep running. With 1500m or so to go, I glimpsed Landy ahead and had to find out if I had anything extra left for a finishing surge. But I really can’t be bothered, wailed the body. I’m tired, I don’t care about positions. Somehow I rallied and passed, running scared for an interminable kilometre. She didn’t challenge, but I didn’t wait to see. 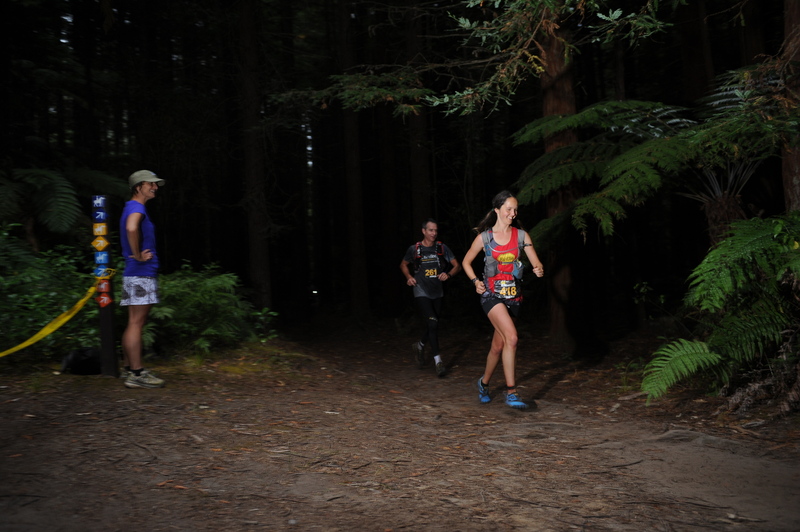 Finishing was so good – it always is, but I was proud of how I paced this one and found some extra at the end. 6 hours 30. 4th woman! There may have been tears. It was nice to see Grant Guise there, who’d had a fantastic run, and Angela’s mum, and Steve. I wanted to take a photo with Landy and Kami but wandered vaguely into the lake instead. Watching Angela finish was even more emotional, somehow. What a star. Speaking of stars, Ruby! A lack of training runs is obviously not an excuse I can utilise. Next came the first aid tent for a rinse of the gory cuts but they were enthusiastic and I got the thorough treatment, including all the gravel fragments dug out with a needle (!). Luckily there was some euphoric hormones still floating around. I love those hormones. They can go both ways though, and I missed Carl and Alba a lot. Technically I should have seen them the next day but Jetstar flew to Christchurch instead of Queenstown, so I endured a night at the Rydges in a big bed with a lakeview and had to miss work on Monday. But it all worked out in the end. Huge thanks go to Angela and Steve and Dot and Chris, for sharing the adventure and the training and the support. Kepler Challenge: fantastic. I see why people like it. I’ll be back. So. After my previous entry about being ready to start some long run training, I immediately injured my achilles again, in a similar manner to pre-Tarawera, at a similar timeframe out from Kepler. “NOOO!” I wailed to an unsympathetic herd of cows, before limping home from Horsham Downs. Thankfully it has responded better to treatment than last time (quick action and acupuncture FTW?) and had a couple more week’s grace, so I will be at the Kepler startline feeling genuinely grateful to be there, albeit very short on the long (60k is not so far, right?). It will be the strongest field I’ve ever had the pleasure of running with and I’m looking forward to the experience. There might even be snow. 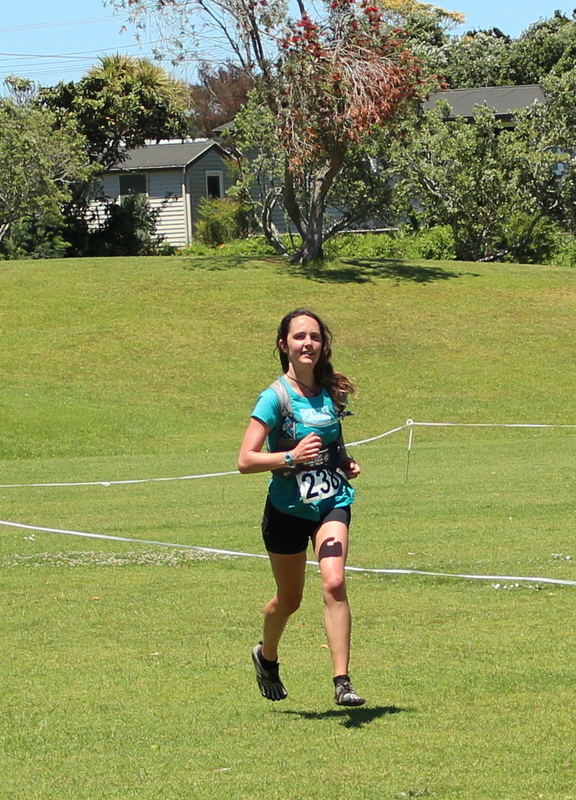 Hurting myself initially was frustrating, but didn’t stress me out nearly as much as before Tarawera. Partly this was due to having gone through it before, but partly it makes a difference having reminders of perspective. 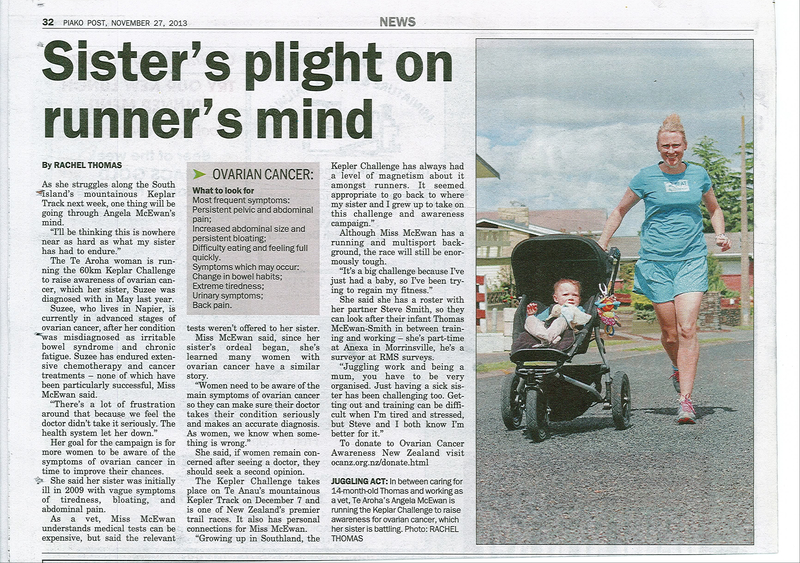 This year, I’m joining Angela McEwan in raising awareness of ovarian cancer as we run Kepler. Angela has a very personal reason to be doing this – her sister Suzee is in the advanced stages of the disease, after a sad sequence of misdiagnoses initially. I can’t really fathom what it’s like to have a sister with a terminal illness. Suffice it to say I have a huge amount of admiration for Angela and the way she’s managing in the midst of these challenges. Even when you like running, it takes a lot of impetus to fit in regular training runs of 4 hours plus around work, a baby and supporting a sick sibling. You can read a bit more about Angela’s story on Scoop if the image is too small. Her main aim is to have more people aware of what the symptoms of ovarian cancer are, and seek a second medical opinion if required. I hadn’t realised that ovarian cancer is the fourth most common cause of cancer death in NZ women, with one dying every 48 hours, or how often people can be diagnosed as having Irritable Bowel Syndrome, Chronic Fatigue or just being overtired when in fact there’s more going on. If you’re female or know one, tuck the below info away in your brain just in case. Having these symptoms does not mean you have ovarian cancer. However, if your doctor cannot find a more common cause for your symptoms, it’s important that your doctor then considers the possibility of ovarian cancer. If you remain concerned after seeing your doctor, you should seek a second opinion. A smear test does not detect ovarian cancer. You can donate directly to OCANZ (and organise to sell teal nail polish) here. Mention the BEAT acronym of symptoms to a friend and see if they know it (Bloating, Eating difficulties/feeling full, Abdominal/pelvic pain, Tiredness/Tell your doctor). Early detection saves lives. 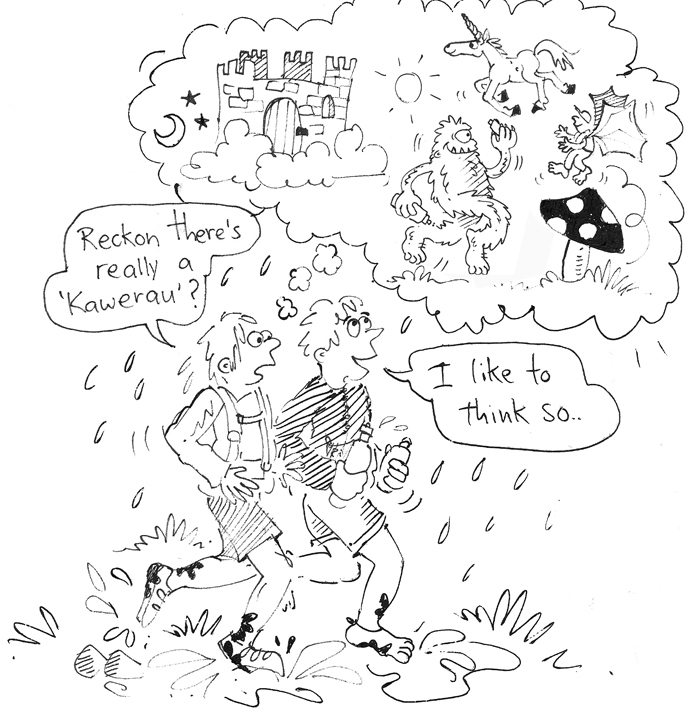 At the Great Cranleigh Kauri Run last week I was chatting to someone in the shower, and happened to mention our Kepler plans. It turned out she’d had ovarian cancer herself, including a very similar experience with medical misdiagnosing, but thankfully with a good outcome. Again, it reminded me of how widespread it can be for something I hadn’t previously heard much about. 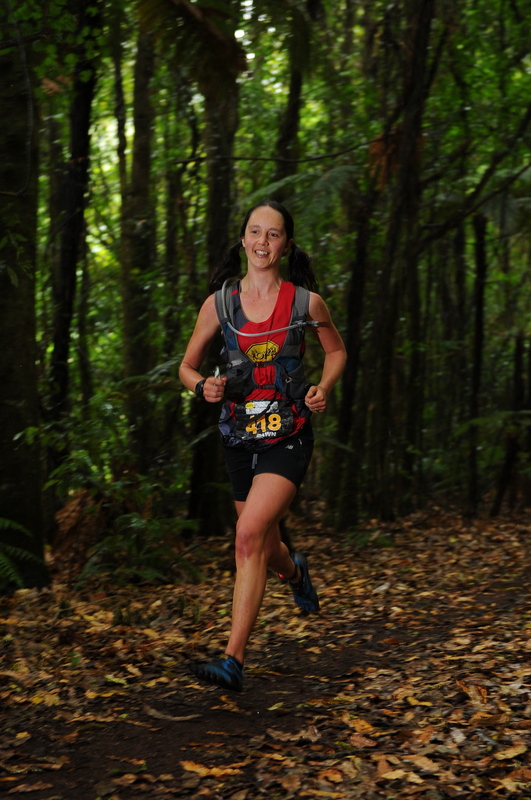 I ran the sensible 23k demi-marathon option at Kauri as a bit of a test. In previous years I’ve done the 32k or the 70k and the former was sorely tempting, but with two weeks to Kepler and an injury the sophomore 23k event seemed a better call. It also had a small and relaxed field. At the start I reminded myself it was simply a training run, and then ran high-knees to the front to amuse Alba. Aside from a couple of guys nobody came with me, and once they’d pulled ahead around 2k I didn’t see another runner until the end at 23k. Odd but peaceful. The niggles kicked in when we started going uphill (Kepler doesn’t have any hills, right?) so I walked most of it. Not racing today. Not much. Overall the 23k is a nice enough jaunt and cuts out the zigzag up and downs across the ridge. For me it remains a less exciting alternative to its longer siblings, lacking the sociable sea start and double coast views of the 32k and the sheer epic-ness of the 70k, but I still managed to hit trail euphoria for a while after cresting the tower around 11k. It’s just so damn pretty and so much fun. Finishing felt great but also like I’d forgotten some kilometres. It took 2 hours and 21 minutes, precisely 6 hours less than the 70k in 2012, and was enough to secure the women’s record (new events are nice like that). I then got to watch lots of people ace their races and take photos. Sleeptime now. I just realised it was nearly November, and November is really close to the beginning of December. Ergo, I should be doing some training for Kepler. Where did those three months go? 2009 100k world champion Kami Semick is doing Kepler too, BCR just announced. I’ll admit to getting a bit of fan-girl frisson upon reading that. “I’ll be running in a race with Kami Semick! ” I enthused to my beloved, who proceeded to successfully restrain his excitement (once I’d explained who Kami Semick was). I have been running some, of course, and apparently can’t hide that from anyone. Due to an appointment mixup I had a different acupuncturist a month back, who explained very kindly and logically why I should, perhaps, run less or not at all. My achilles would then have no problems. I nodded seriously, agreeing that this was almost definitely true, and looked forward to never having to follow up on the conversation. Roll on this week, when I was getting merrily pricked by my usual practitioner. Mr Sensible poked his head round the door and asked how things were going. “Kelly says you’re running nearly every day!” Sprung by social media and the small world of Hamilton. Hawks SW all smiles. Photo by Sophie Corbidge. In truth, the achilles is doing pretty well and I can get away with an amount of running that would seem quite reasonable if not for a little ultra on the horizon. 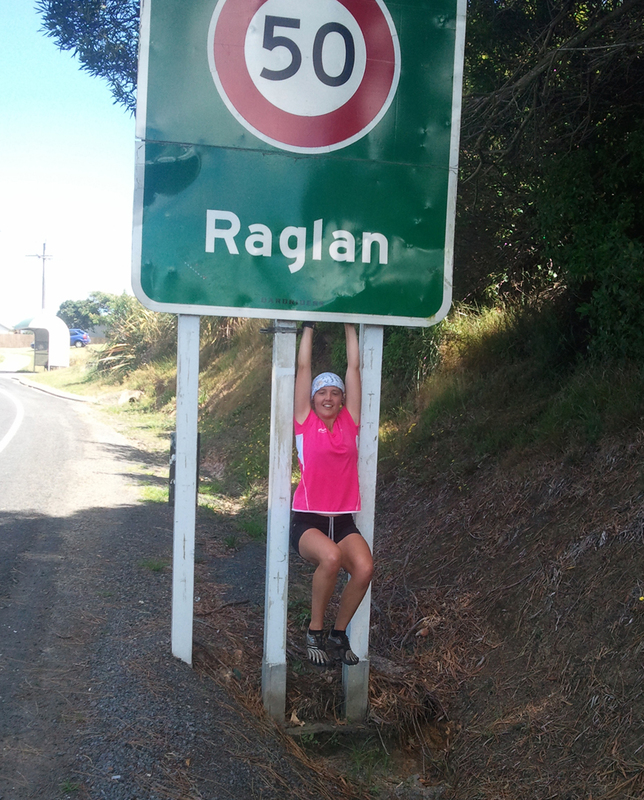 I got slightly distracted from Kepler by National Road Relays, held in Takahe to Akaora. This is a highlight of the harrier year, and one I’d essentially ruled out early on – Hawks seemed to have a plethora of fast women (that should be a marketing strategy). 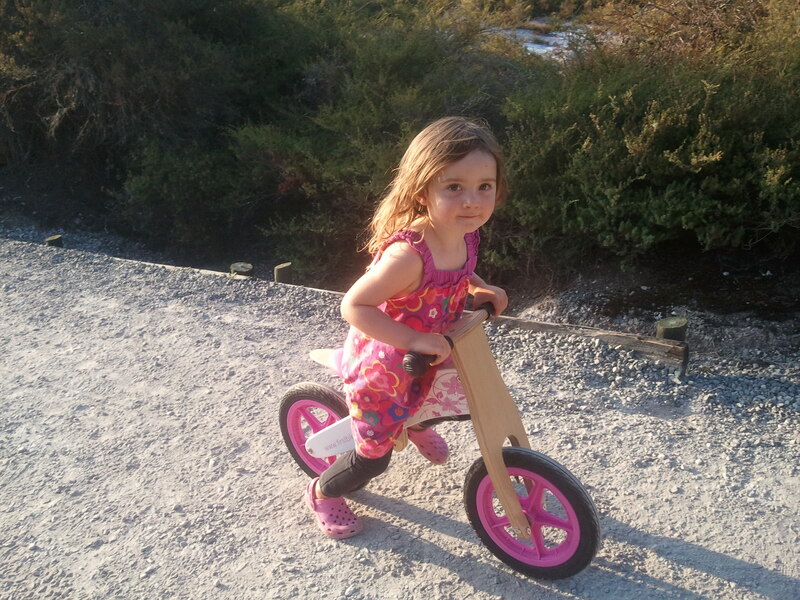 However, sneaking back towards pre-sprog fitness somehow scored me a spot on the team and off we flew. It was an excellent trip, and felt pleasantly full-circle going back to the same place as my last NRR. Runwise, I’d call my leg of the relay solid rather than transcendent. It was a minute under the time predicted for me (good) but half a minute off my 2009 time over the same course (irritating). My team were splendid. 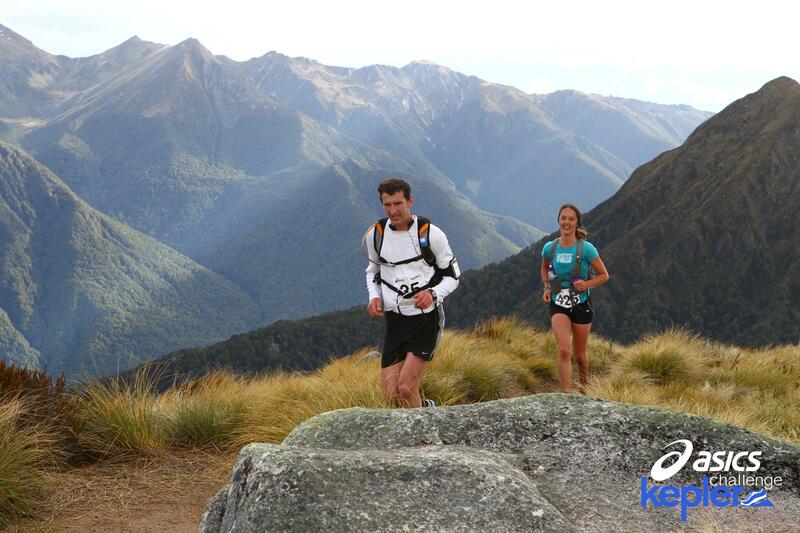 If descending can be transcendent, Kovo can claim that adjective with pride after an epic run. 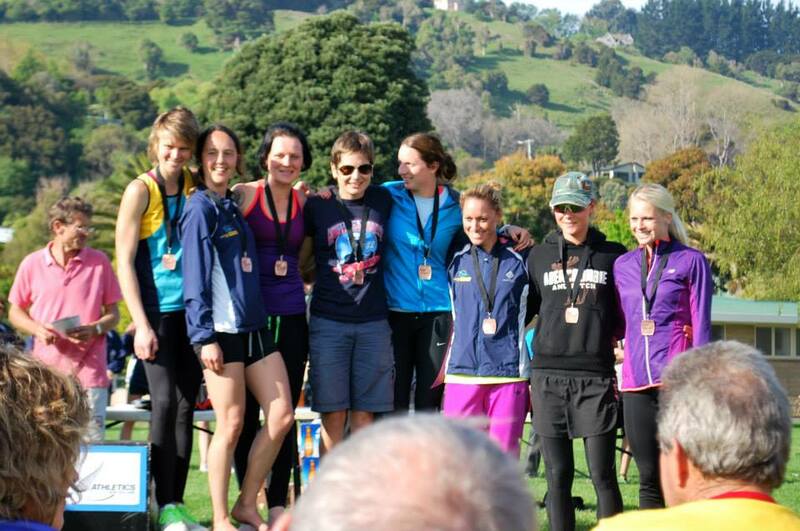 Ultimately we won bronze, which was exciting for me as a first NRR medal. Go team go. After relays, I was a little bit tired, and then briefly got distracted with a few other things (win undead beauty pageant as decrepit Lloyd-Webber-adapting Egyptian mummy, tick). Labour weekend is completely out due to childcare responsibilities. 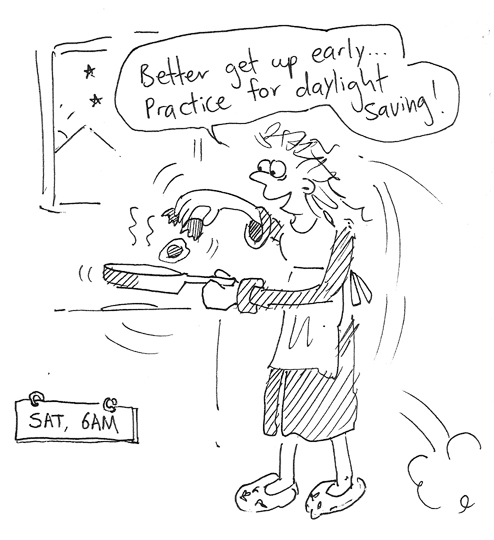 But next weekend – the training is ON. And then it should be time to taper, right? I love food, I really do. I’m that person at work throwing date balls and nut butter sandwiches and cookies into my mouth every few minutes while Weight-Watchers-enrolled colleagues look on with mild irritation. As a runner and breastfeeding mother, I need the calories, right? It sounds good, but part of me suspects it’s just mild greed. The Live Below The Line intrigued me last year when a friend did it, and seemed like a great cause to support. You spend 5 days living on $2.25 per day, the New Zealand equivalent of the global poverty line, to get a small insight into how 1.2 billion feel using that amount to provide everything. I liked how you could choose a charity from a variety, and the challenge element. In terms of the eating, I made things harder for myself by preferring gluten/dairy free, not wanting to buy non free-range eggs, and not accepting anything free or raiding the garden/orange tree. The latter two are part of the ‘rules’, from what I understood – the $2.25 is meant to be the worth of the food that you consume. 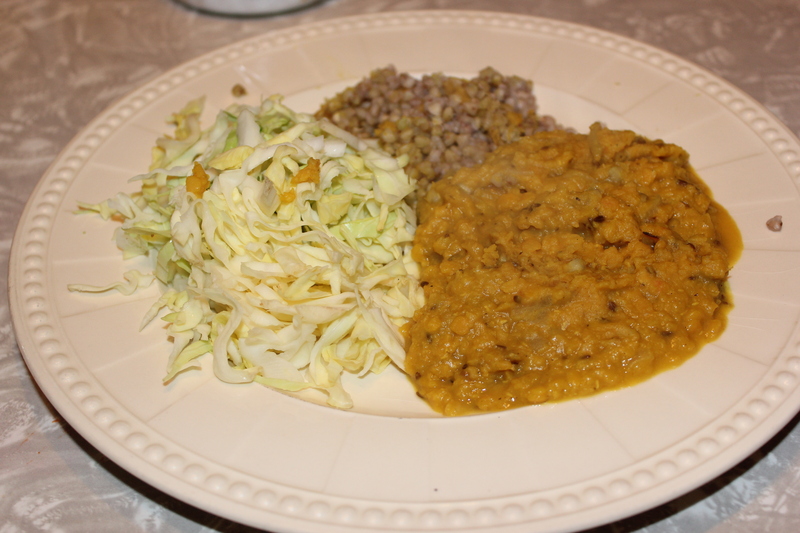 I still enjoyed dahl and buckwheat every time I had it. 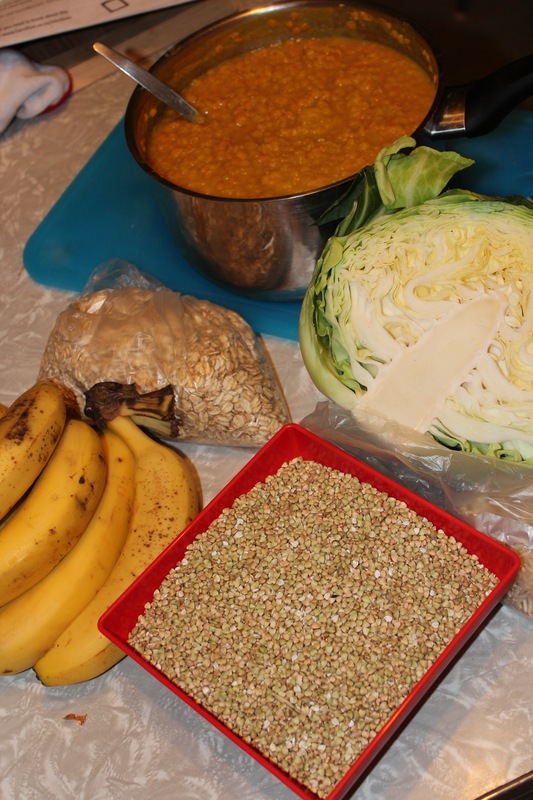 Lunch + Dinner: buckwheat groats with lentil dahl and chopped cabbage. Day 1 wasn’t bad at all. I ran to work to score some distracting morning endorphins, ate a late breakfast of soaked oats with banana, enjoyed both dahl meals on schedule and marvelled at the fact I was actually capable of not constantly snacking. 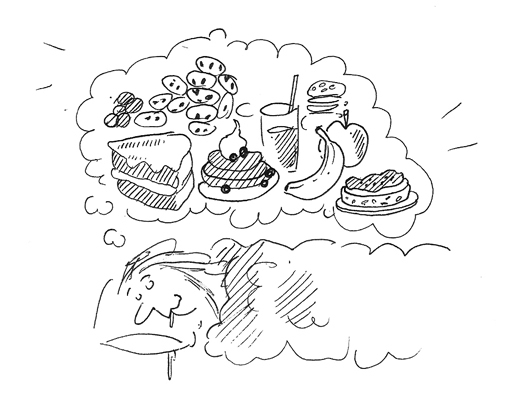 Maybe it is possible to just be hungry and experience the sensation. So far, so zen. Day 2 went fairly well until about 4pm, when I felt a tad grumpy. After work, I didn’t have much finishing power in the 1500 x 4 hill interval session. This was probably the energy slump beginning. 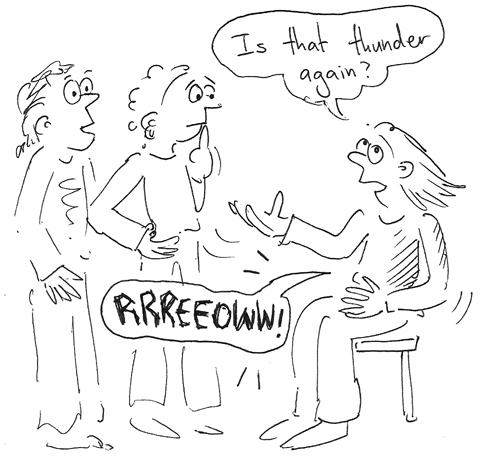 Tummy rumbling was occasionally noticeable. Day 3 was a nosedive. 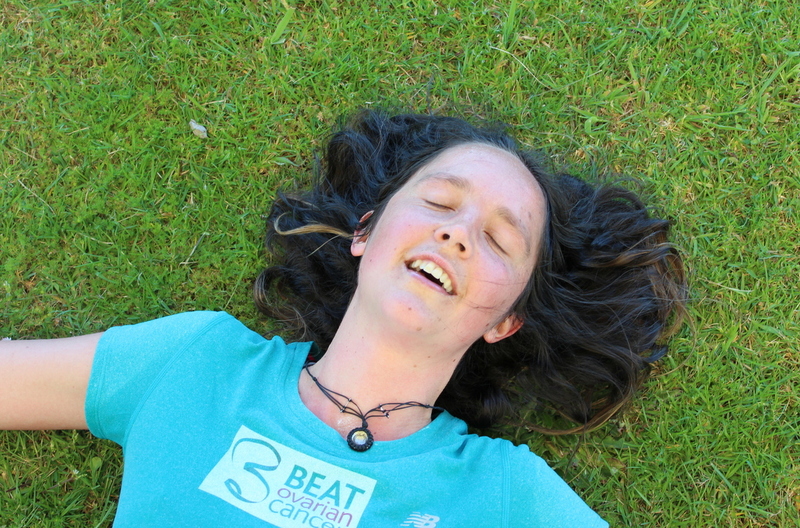 I felt fuzzy and lethargic but stubbornly stuck with my plan of doing a 90 minute easy run. Cue grovelling around the river path with all the momentum and leg-lift of a wet teatowel. 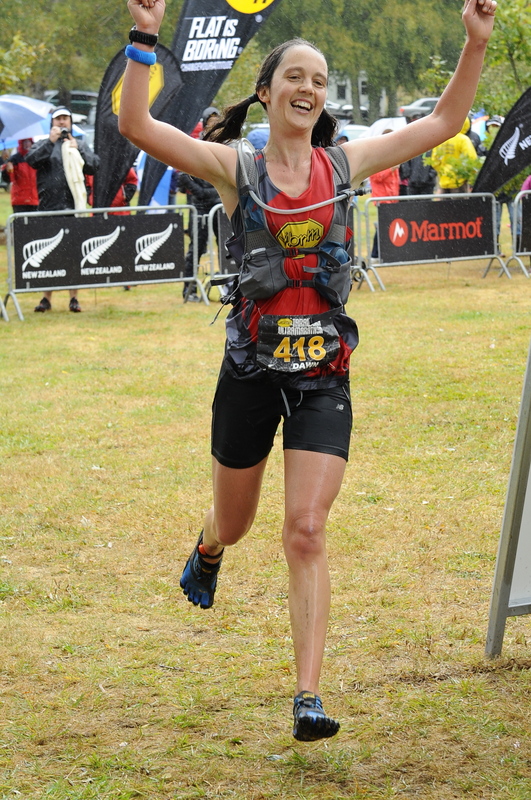 The feeling was reminiscent of getting all woozy at the end of Tarawera ’11 – presumably the same sort of wonky depleted homeostasis kicking in. I then got Alba to bed early (miracle!) but had no impetus to do anything remotely constructive with the evening time. Sat drooling aimlessly and seriously considered negotiating some sort of out-clause on health grounds if day 4 was more of the same. Day 4 dawned, and I felt ok(ish) again. Hooray! Just a nutritional hump-day wall to push through, perhaps? Still constantly hungry, naturally, but I regained faith I wouldn’t randomly keel over. I did postpone the evening tempo run because it just wasn’t going to be worthwhile. Also it was followed by a BBQ which isn’t quite so exciting when you can’t eat the food. Ditto Fringe opening, filled with delectable snacks. Incidentally, my milk production went down around then and Alba was unimpressed. This is no major for a comfort-snacking 2.5-year-old, but would be pretty stressful for someone nursing a small baby. On day 5 I felt pretty relieved that I was hitting the home straight. Running to work felt ok again but I still had to survive not consuming any of a very impressive farewell morning tea at work (oh, woe is me). Hungry afternoon. I had a decent amount of food left for dinner, and that was that. 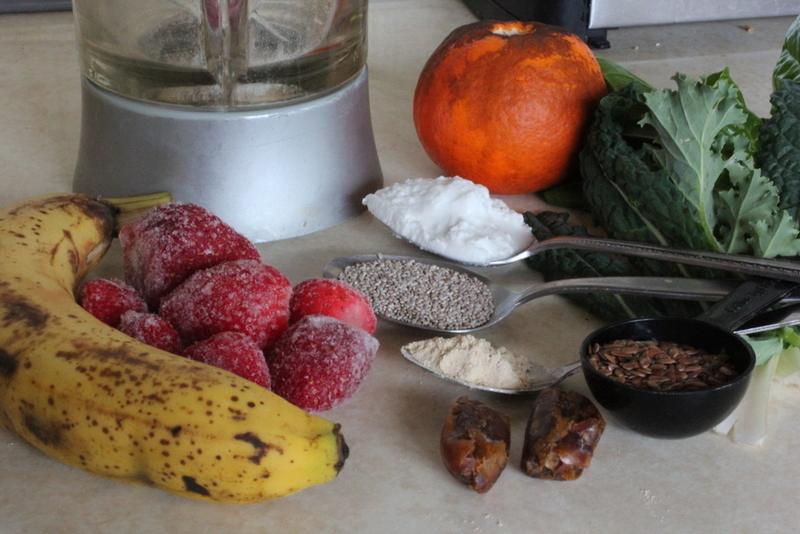 Write a blog, go to sleep, dream of pancakes and smoothies. Conclusions? It’s a really worthwhile thing to experience, albeit in a charmed environment with hot showers and a warm house, and the support from friends and colleagues was lovely. 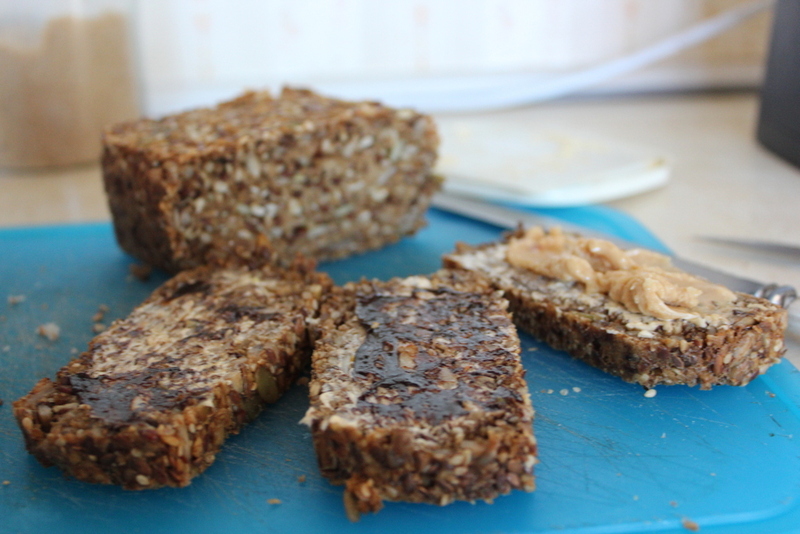 I think I chose the food pretty well – the meals were healthy and tasty. If I did it again I’d consider swallowing my scruples and swapping some eggs into the mix, similar to Mikki’s approach. Nutritionally, mine was a bit short on protein and greens but there’s a limit to what you can get for $11.25. It was also short on calories, coming in just under 1000 per day. The omniscient internet backs up at least some of my greed-justification and suggests I need around 2300 (go the snacks). My scales said I either lost no weight or a kilo, depending on their mood within the same 5 minutes. I was very low on energy on Friday but it seemed to flow back over the weekend. The main thing it’s prompted is gratitude, which I imagine is the idea. Gratitude for pancakes and smoothies, variety, and having the choice about whether to subject yourself to such games. So a loose conclusion: 1.2 billion people are living on a diet potentially leading to lethargy, malnourishment and breastfeeding issues. It’s a sobering thought. Give it a go next year? HUGE thanks again to the people who donated, raising $520! Pranesh, Katie, Yasmin, Andrea, Sandra, Mira, Nicolina, Adrienne, Megan, Linda, Jenni, Helen, Sarah, Julie, Christina, Sarah W, Tania, Geoff, Mary, Jenny, Brian, Dylan, Kovo, Fiona, Tracey, Oscar and Anon x 2 – you’re awesome. Without you I’d just be moping around making dubious food choices. 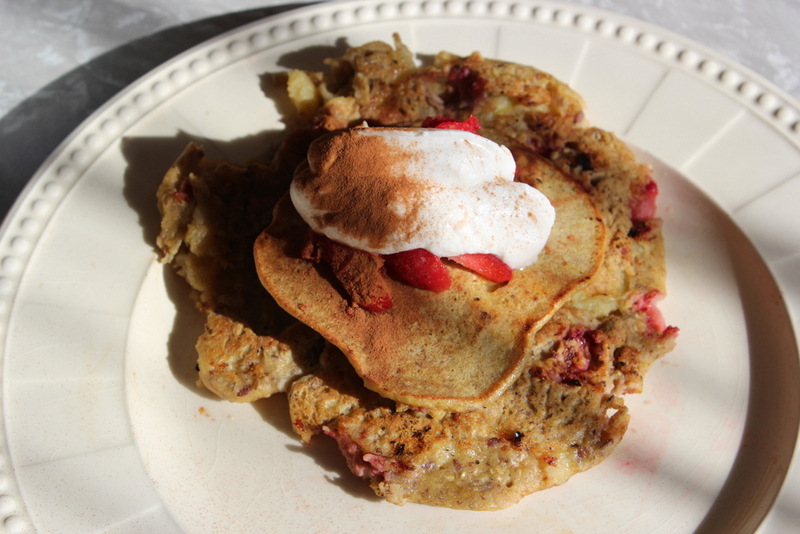 Strawberry and banana pancakes, I missed you. Soggy. 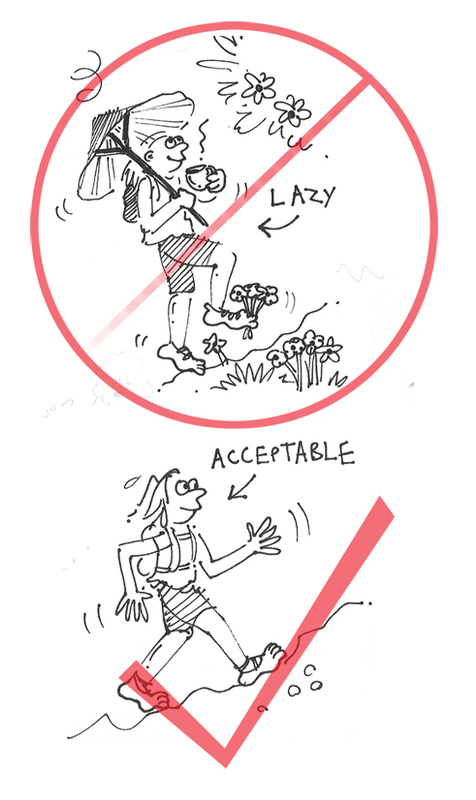 From Tauranga Ramblers’ Facebook. I ran Cambridge Half Marathon last Sunday and scored a PB – admittedly a soft one, but notable for providing the first Post-Baby Personal-Best. There are hopefully more coming. Hear that 5k? You’re going down. So it rained at the race. Everyone stood around soggily under eaves, reluctant to take off protective clothing. I knew I’d warm up quickly though, and did. Cue a relaxed start, complete with banter and sandbagging. Several of us settled into a comfortable group around the 4k mark. Hadley was supporting Shanel to do 1.33. I’d been thinking 1.35 – 1.38 would be fine given minimal long runs, but when he mentioned that goal it sparked a ‘maybe..’ in my mind. The pace was feeling right and we trucked along consistently for the next 10k. Hadley seemed to be a terrific pacer, incidentally. It felt almost sneaky having good advice intended for someone else drifting forward on the wind, but hey, I’m not fussy. A consistent time trial was always the aim and that held together – no super surge at 15k but no great drop-off either. It was good to meet some 10k-ers to spur the legs on, especially Oscar. I felt heavy-legged in the last 2k or so and probably slowed up, but got there in 1.32.45. Hooray! Lots of PBs on the day, including Sandra carving a mighty 4 minutes off her 10k time. I zipped home, got small girl to sleep, and proceeded to squander a lot of time – probably almost 1 hour 32 minutes 45 seconds – trying to find out whether I had in fact done a PB. Sad. Why couldn’t the advanced technology of Gmail find “results from that fun half marathon in Rotorua where I won a bike a few years ago”, I wondered? But the nostalgia-hit of old Hawks newsletters was pretty fun. All done. Seem happy. We’re wet. From Mike Tennent’s Facebook. I’d pretty much given up when Jacqui helpfully recommended athlinks.com and bam, there it was. 1.32.58 at the 2009 Rotorua Forest Half. Sweet, one soft PB thanks. (Passing thought – you could do some great athlete-stalking on that site). To backtrack on the glacial-paced achilles recovery front, I’ve having my first experience of acupuncture. It had somehow passed me by entirely that you can have a course of acupuncture as well as a course of physio under ACC. I only found out when Vegan Buffet happened to give me a $20 voucher (hooray) towards some acupuncture, which turned out to cost $115 a session (argh), unless you can bring in an ACC number next time for a big subsidy (hooray!). Although it’s on the other side of town (argh) but could help (hooray). Turning up to have multiple needles wiggled around in my delicate wrist in order to fix my achilles (go figure) isn’t that much fun in practice but it’s worth a try. So far my enduring impression is of Alba relentlessly trying to feed me her snot while I’m needled and thus immobilised. Charming child. She calls the visits ‘the akka punch’ which sounds like a knockout martial arts move, and is entranced by the nearby Bin Inn because it has a budgie.